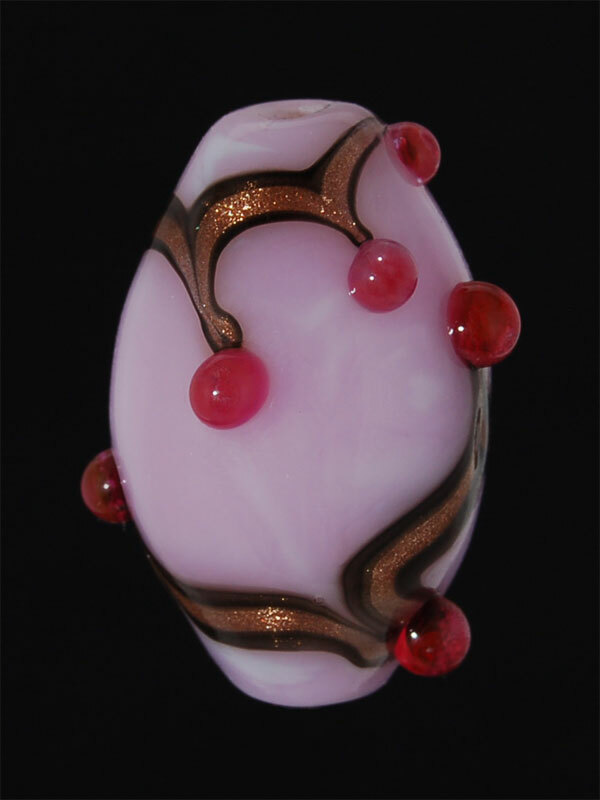 A Peace heart shaped core encased with Gelly's Sty; when worked it produces a streaky pink effect. 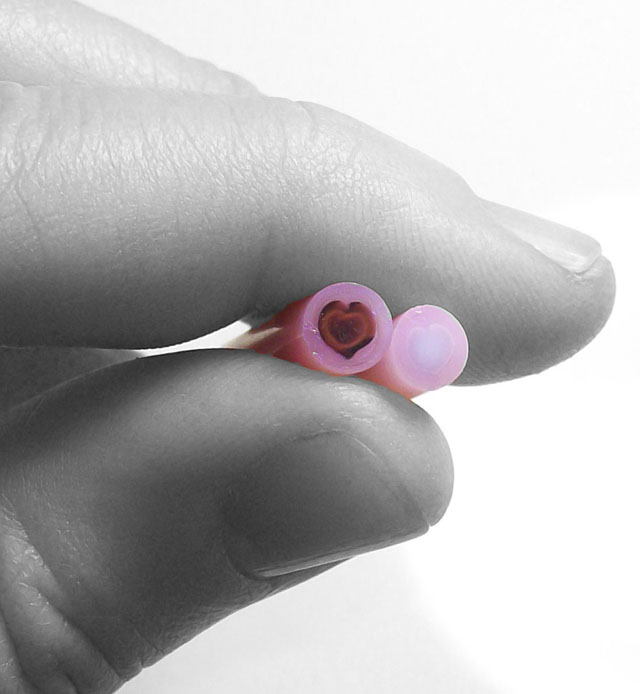 Click here for other interesting Cored Cane Ltd Run discoveries. 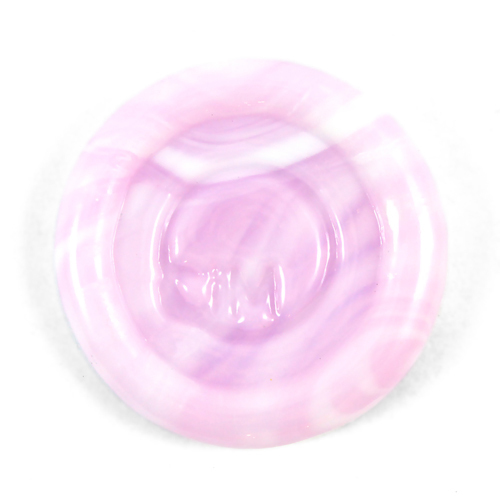 511938 is a heart shaped Peace core encased with Gelly's Sty. 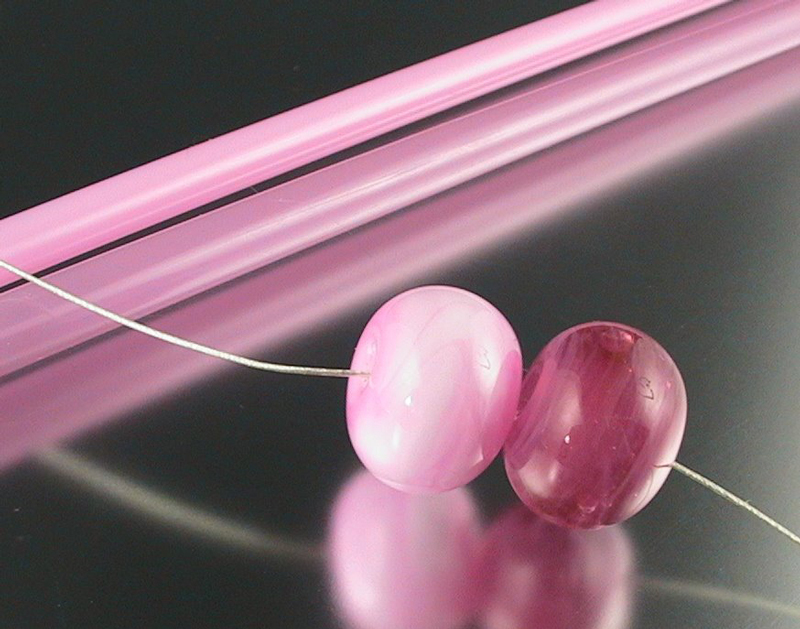 "The lighter bead on the left is the pink over white, and the other is the tri-colour clear/transparent dark pink/translucent light pink. 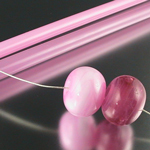 These work up into fun streaky beads." Read more at DragonJools blog.